PennsylvAsia: "Distant Reading and Modern Japanese Literature" at Pitt, March 30. "Distant Reading and Modern Japanese Literature" at Pitt, March 30. 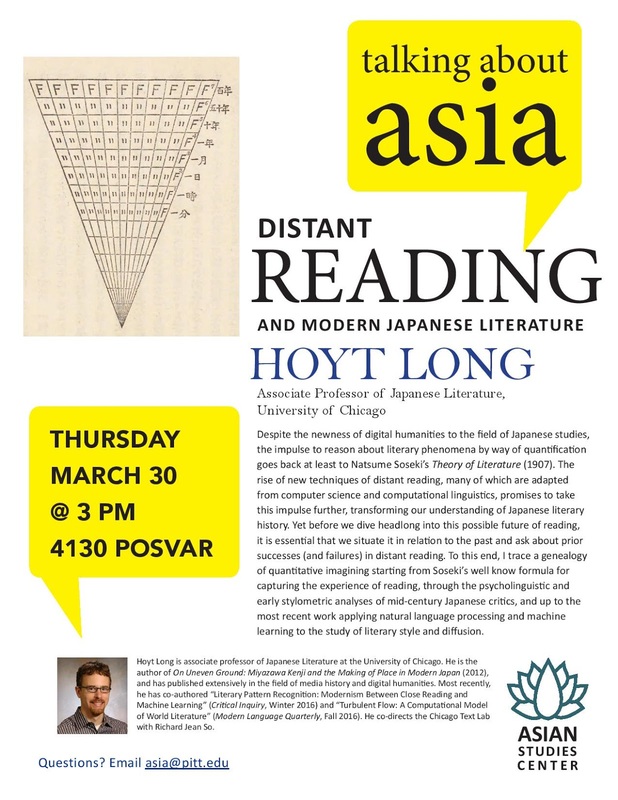 The University of Pittsburgh's Asian Studies Center is hosting the University of Chicago's Hoyt Long and his talk "Distant Reading and Modern Japanese Literature" on March 30. It starts at 3:00 pm in 4130 Posvar Hall (map) and is free and open to the public.